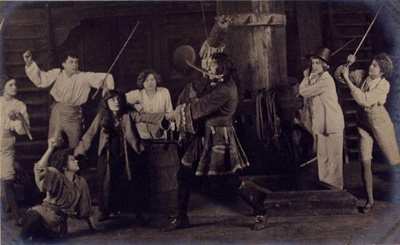 December 27th; On this day in 1904, the play Peter Pan, by James Barrie, opens at the Duke of York’s Theater in London. Barrie was born in 1860 and studied at the University of Edinburgh. He worked as a reporter for the Nottingham Journal for two years after college. He moved to London in 1885 and became a freelance writer. His first collection of sketches, Auld Licht Idylls, was published in 1888 and became a success, followed by an account of his days working in newspapers, called When a Man’s Single. He published a collection of stories in 1889 and a bestselling novel, The Little Minister, in 1891.